OAKLAND, Calif. -- Oakland police have made a small number of arrests for disobedience and vandalism in a downtown protest this morning following the election of Republican candidate Donald Trump as U.S. president, officers said. Police helicopters are set to patrol the area by 2:30 a.m. An officer at the patrol desk said shortly before 2 a.m. that the department will "hopefully put a stop to it soon." 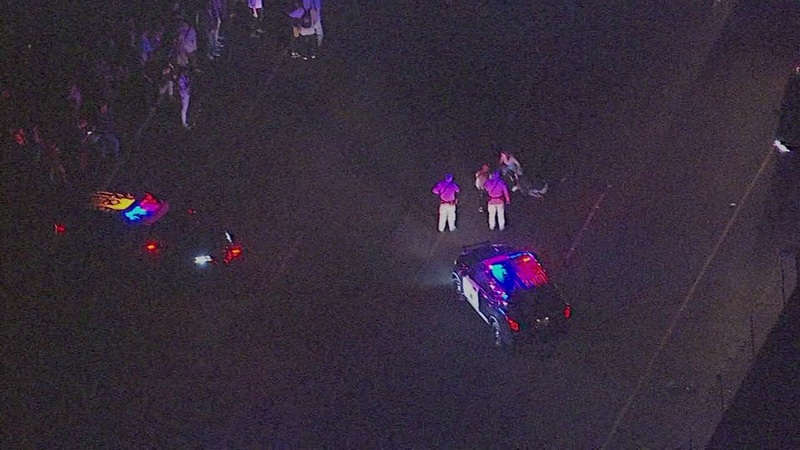 Following the election of Trump, at least 50 protesters marched from downtown to state Highway 24, where a protester was hit by a car near the Claremont Avenue off-ramp. The victim is being treated for serious injuries, according to the CHP. Several fires were set between 10th and 27th streets on Telegraph Avenue and Broadway. Four engine companies from the Oakland Fire Department responded to extinguish the fires, a battalion chief said. Firefighters are patrolling the area in anticipation of additional protest-related fires.